communities. These communities have had to challenge injustices and fight for equality and there is much to be learned from their experiences. 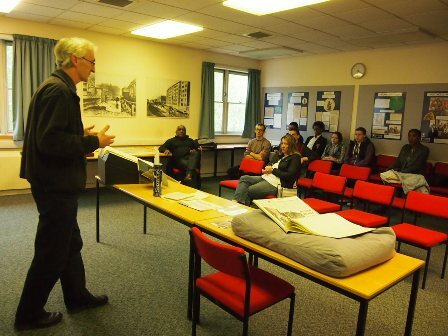 Communities Inc organised a visit to Nottingham archives on Thursday 9th May, where Chris Weir gave an insightful and inspirational tour which enhanced the progression of our Black Community Activism project. 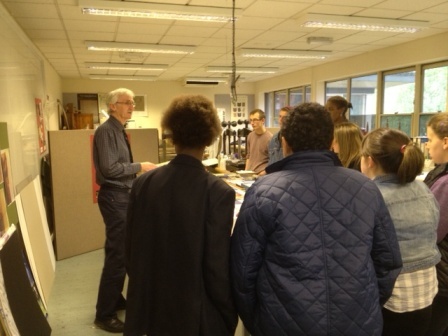 The visit included an introduction to the Archive service and its facilities. 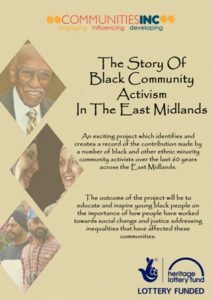 Our volunteers got to view and touch a selection documents that range from medieval charters to modern records, including documents which related to Black History. 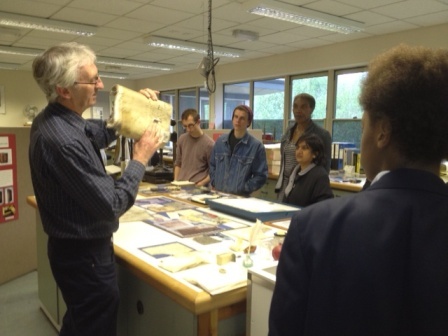 The visit also included a talk showing the conservation of important documents, which takes specialist staff and technical equipment. To finish the session off we then viewed the search room to see how the indexes and catalogues can be researched, how the copies can be taken and how to get a readers ticket.